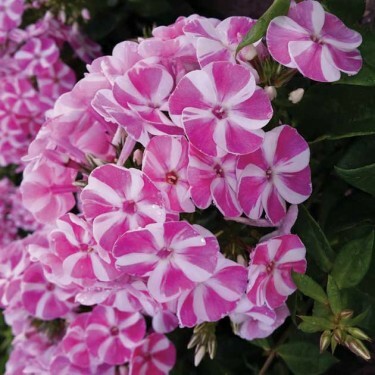 'Candy Crush' is a dwarf garden phlox that will bloom slightly earlier than the tall Phlox and is mildew resistant. It's perfect for containers or as use as a ground cover. Removing the spent flowers will encourage more blooms and please remember to ‘smell the flowers!’ because these pink and white pinwheels are lovely and smell a little like candy. YUM!